Wear your Country T-shirt with Pride! 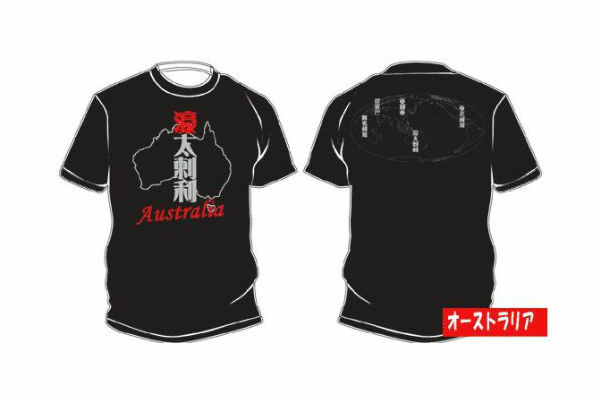 These t-shirts feature a map of Australia, with the name of the country in kanji characters. 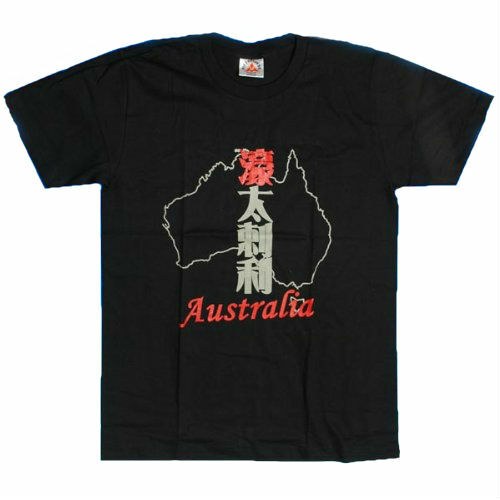 On the back is a world map with the names of the continents also in kanji.